This non-exhaustive list represents IHS’ top five key factors, the first three being key market drivers and the last two being influencers or consequences. As a result of their influence on oil market price, consumption and trade they will also have a critical impact on freight costs. The main questions surrounding the withdrawal of Iranian sanctions revolve around whether the nuclear deal will be approved and will Iran comply? Past that, the questions become: how quickly can Iran increase production, where will the oil go and whose production will it replace? Nuclear agreement reached on 14thJuly 2015, with potential approval by the US Senate in September. Despite some opposition to the agreement in both the US and Iran, and the complications involved inverification and potential relaxing of sanctions, IHS believes it will be approved and sanctions will start to be relaxed/removed late 1Q 16. IHS expects Iranian exports to increase by 0.5 million b/d by end 2016. IHS expects the shipping market should not see an effect till 2Q 16, even then it could be a minimal one. The key questions are: how will Chinese growth evolve as it moves from manufacturing to service growth and how will this impact crude oil demand/imports? IHS view is that Chinese GDP growth will average 6.6 percent per annum through 2020, vs. an official target of 7 percent per annum. IHS expects Chinese crude oil consumption to increase from 10.2 million b/d to 11.4 million b/d in this period, equivalent to an annual increase of 2.3 percent. Chinese crude oil imports will increase from 6.4 million b/d to 7.6 million b/d in this period, equivalent to an annual increase of 3.6 percent, IHS expects. IHS expects this to be positive for shipping due to the increase in tonne miles as more imports are from the Atlantic basin and this trend looks set to continue. 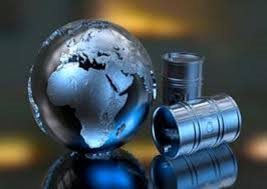 Will US crude export restrictions be lifted and when and how will this affect US crude production remain the main questions. Secondarily, how quickly will US exports increase, where will this crude go, and what will it replace? US crude and condensate exports have already increased up to 0.5 million b/d in the last year (mostly exports from Alaska and exports from the US to Canada). US condensate exports restrictions were relaxed in 2014 and a crude swap deal with Mexico is likely to be approved shortly. IHS expects US crude export restrictions to be removed or relaxed by 2017. US production will increase from current level of 9.3 million b/d, to around 10.5 million b/d by 2020, IHS predicts. By 2020, US exports to be around 2.3 million b/d with 1.6 million b/d going to Asia and 0.3 million b/d going to Europe, IHS says. IHS expects the main discharge region to be the Asian market. This means more tonne miles and a positive effect on the market. The key question is what will be the rate of refining industry expansion in developing countries – Asia, Middle East and Latin America? Conversely, what will be the reduction of refining industry in declining markets – Europe and US? Middle East crude oil consumption will increase by 1.2 million b/d through to 2020, IHS forecasts. Approximately 65 percent of this increase is to meet increasing domestic demand, the rest is for refined product exports. Asian crude oil consumption is expected to increase by 1.7 million b/d through to 2020, which is all required by increasing regional demand, and net exports are expected to reduce in this period. The European refining industry rationalisation will continue despite 2015 providing some margin respite; European refining economics will remain challenging and crude oil consumption is expected to reduce by a further 0.3 million b/d through this period. IHS expects the shipping market will welcome these increases in Asia as this should absorb the new orderbook over the coming years. The primary questions are: how to mitigate freight rate/earnings risk and who do we actually turn to within the industries, are these now the right people and companies? Aframax fleet set to grow 26 percent to 125m dwt in capacity from 2015-2020. Suezmax fleet set to grow 39 percent to 99m dwt in capacity from 2015-2020. VLCC fleet set to grow 32 percent to 272m dwt in capacity from 2015-2020. Seaborne trade to rise 2-3 percent on average per year till 2020. Freight rates expected to slowly decline. For example VLCC’s TD3 MEG – Far East route IHS forecast 16$MT this year to 10$MT by end of 2019. Iran and US exports and Asian refinery and Chinese imports will increase shipping tonne miles but with the increased order book, IHS believes the above situation will maintain the status quo.